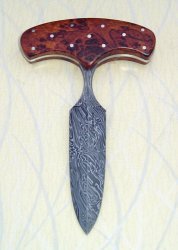 This little dirk features a 6" blade of my Evil Eyes Damascus. The guard is Nickel silver while the handle is fossil walrus. This is a sleek little dirk in a nice compact package. A similiar piece woould run $675.00. 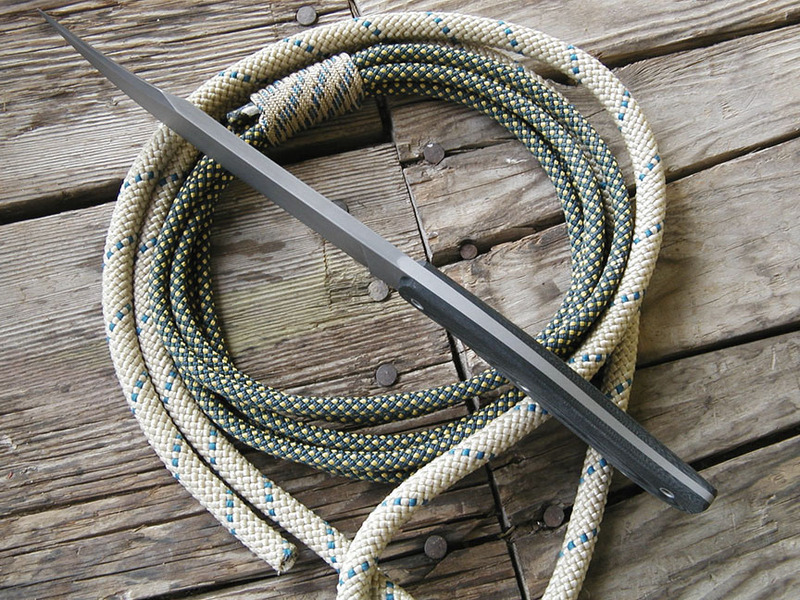 Forged W-2 "Big B" blade. Blade is a little over 7" long and 2" wide. 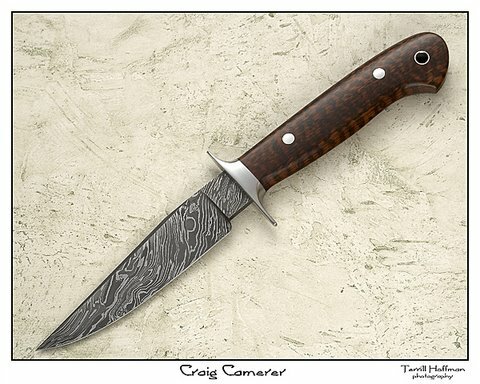 Cost of a similar piece is $575.00. This is my Featherweight fighter model. 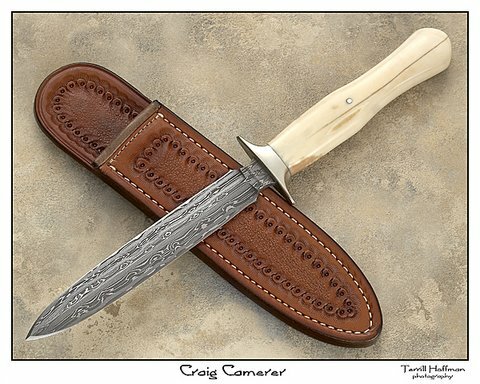 It weighs 8 ozs without the sheath and 12 ozs with the sheath. 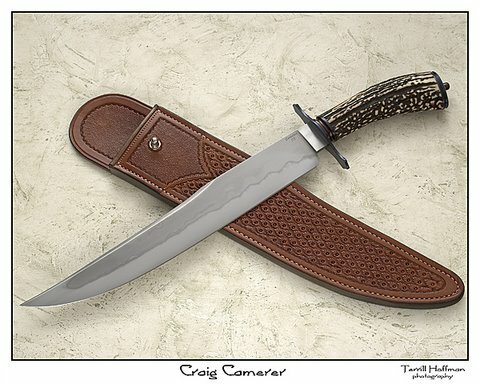 The blade is 7 7/8" long and 5/32" thick with a nice distal taper. 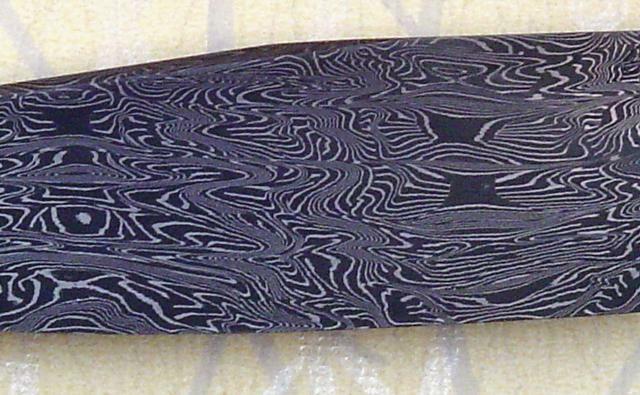 The damascus is 288 layers of 1084 and 15N20. 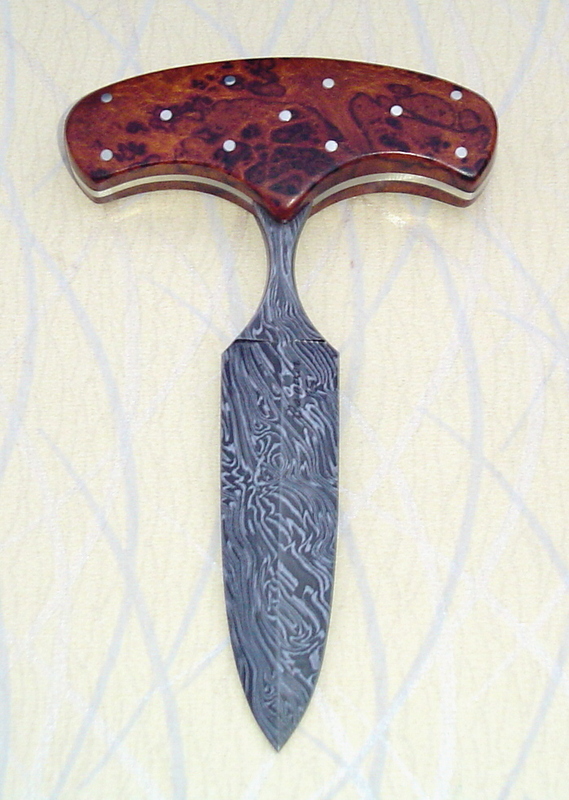 The guard and spacer are nickel silver and the handle is curly koa wood with a mosaic pin. The handle features nice palm swells and fits in the hand very securely. 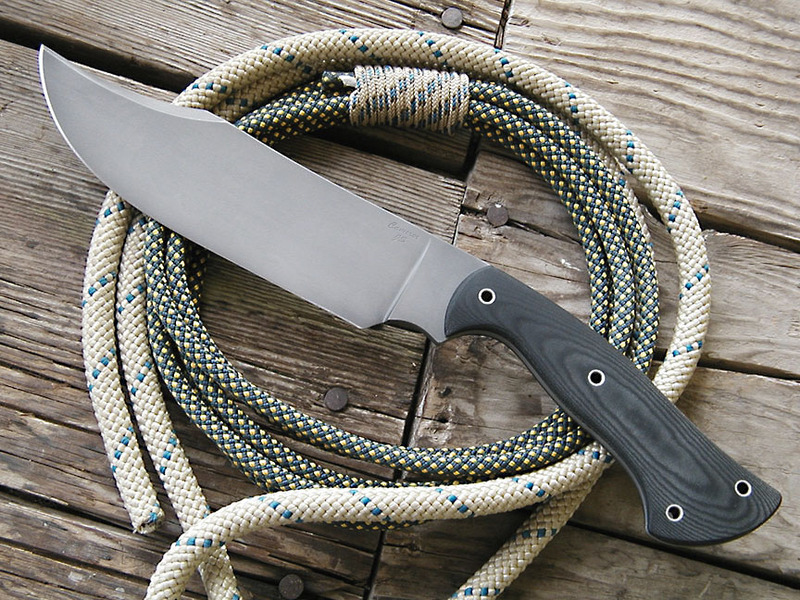 The sheath is a high ride model that is nicely tooled and features a snap keeper strap. This knife is very quick and fast. Price for a similar piece is $550.00. 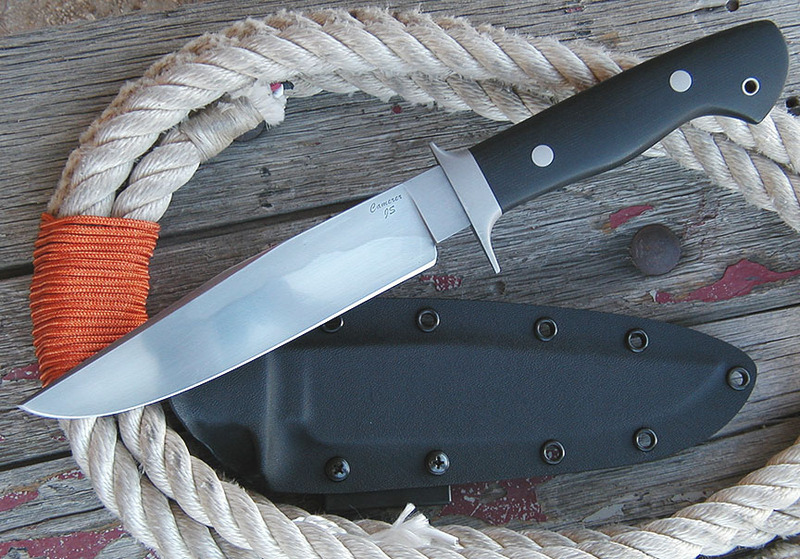 Slim-Pickens Fighter using 1084 steel measuring overall 12 1/2" and blade length of 7 1/8". 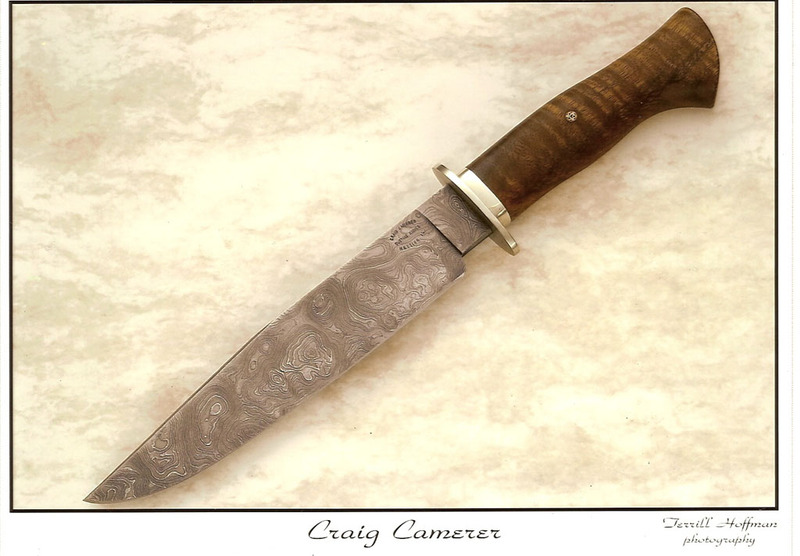 The blade is 6 1/4" of 1084 and 15N20 in my Lava Flow pattern. The Lava Flow is a mosiac pattern that I have been playing with for a little while. 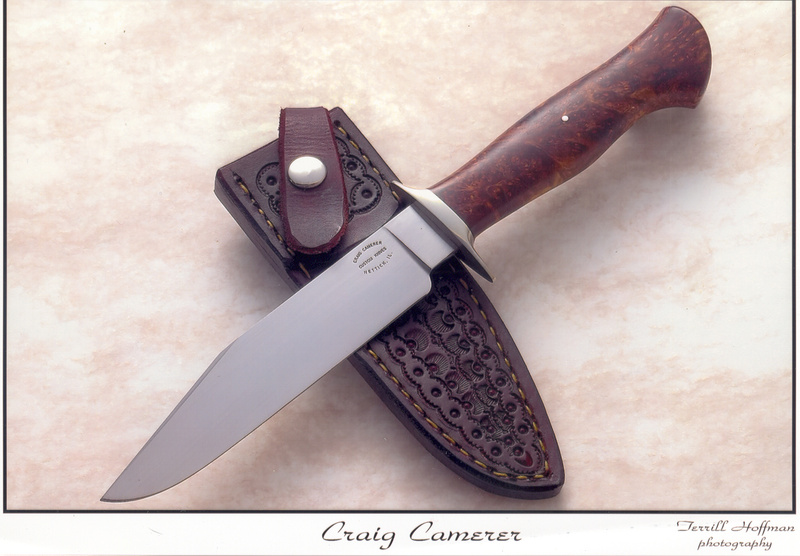 The handle is contoured african blackwood while the fittings are blued mild steeel and nickel silver. 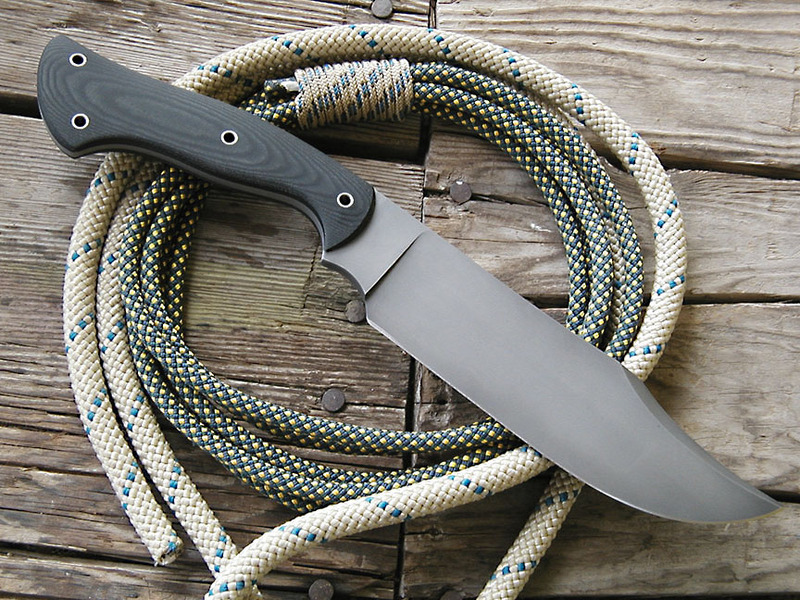 Overall length on this knife is 11 3/8". Cost for a similar piece is $700.00.